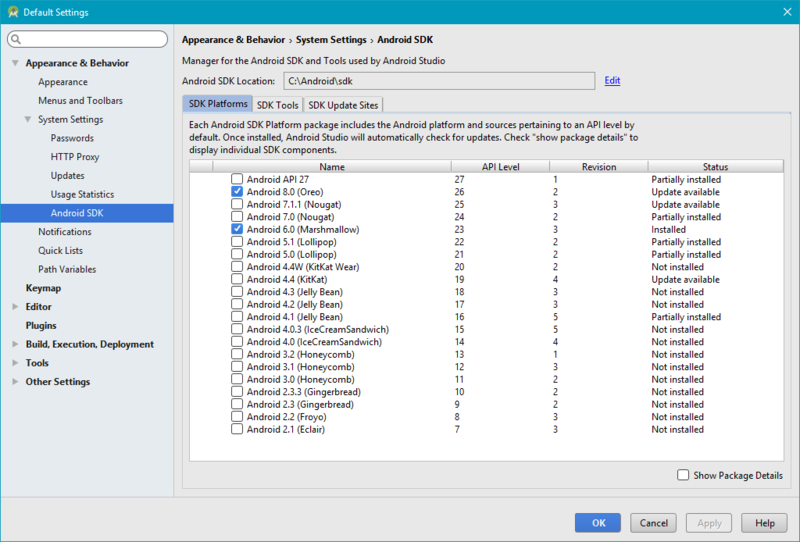 Here you can see the Android SDK location showing the path. Note it down. Next thing is to find out the exact name of Emulator you wish to run. 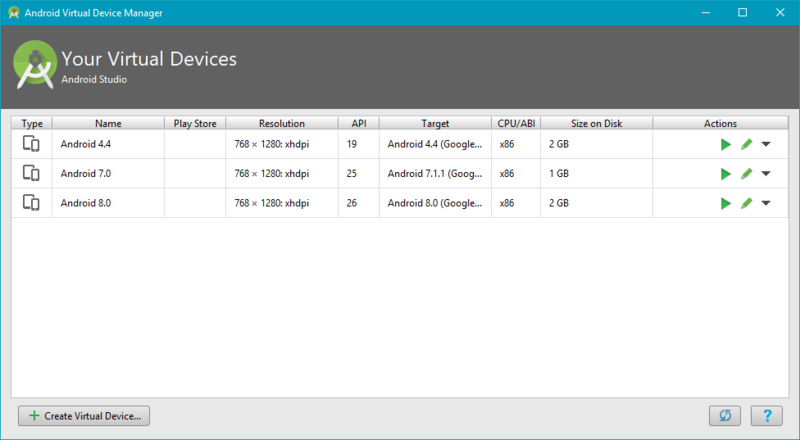 Now open Tools->Android->AVD Manager. Note down the name of emulator name which you want to start. The main thing to know here is that you need to replace blank space with an underscore(_). So if I wish to use my emulator “Android 8.0”, I will use “Android_8.0” in the further process. Right-click on the desktop and click New->New Text Document. Name it anything but change the extension to “.bat”. For example, I created the file with name “emulator.bat”. Right click on this file and click “Edit”. Now we’ll start writing the actual script. Replace “Android_8.0” with the name of your emulator and that’s it! Save the bat file and try running it. It should start the emulator. The only thing you need to keep in mind that after running the script, a cmd window will open up. Don’t close that window otherwise emulator will close by itself.